Posted 15/06/2016 by crx & filed under Art, Hardware, Music. 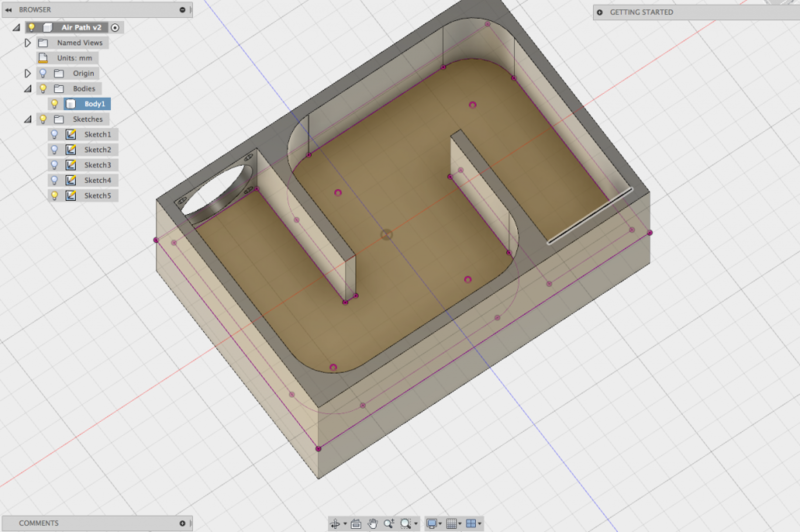 Last week got lost entirely to laser cutters, making a case for my sensors and porting the code for my measuring breathing trick to the kinect. On Wednesday I visited FizzPop the Birmingham maker space to monopolise their laser cutter for a bit and curiously bumped into two guys also building home brew air quality sensor networks. 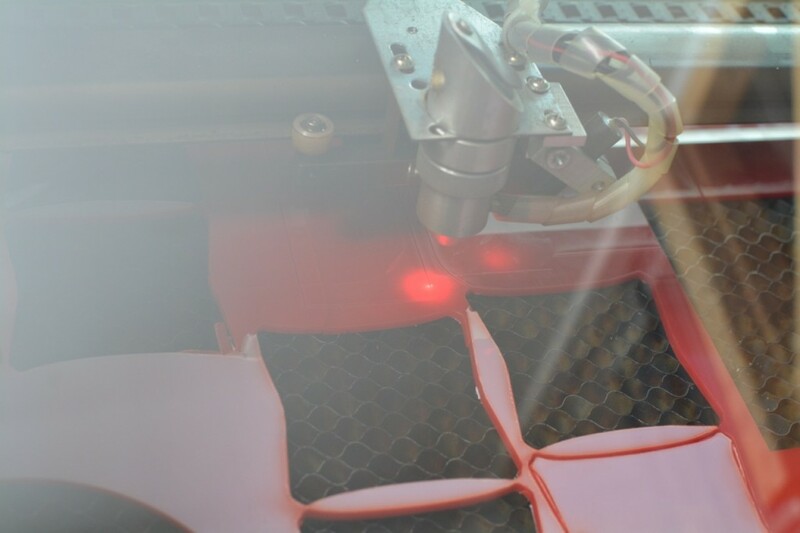 They were both using laser particle counters that were slightly more expensive than mine. I got some really good tips on how to get the best from my sensor by placing it in a light locked box with rounded corners for the air flowing through it to stop any particulates getting dumped on the corners as they pass in. 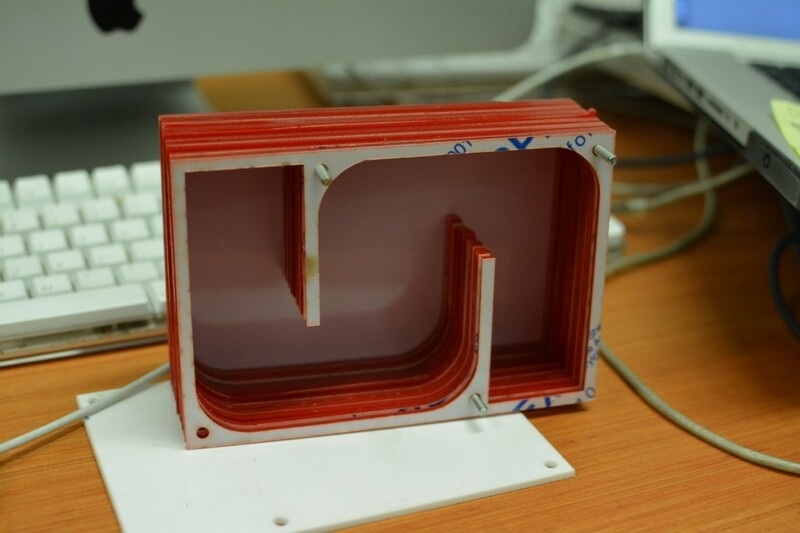 Apparently preserving a laminar air flow is important in getting the best from these cheap sensors. In the end I was convinced by the argument enough to ditch my original box idea, modelled on the cases I’d seen at indiaairquality blog and try something along those lines. 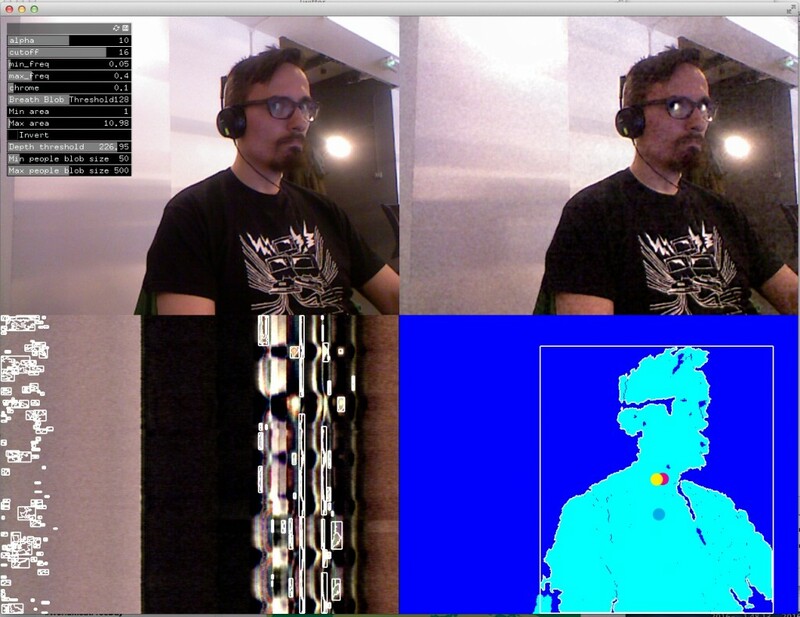 The rest of the week I had my head stuck in openframeworks with the kinect. I’ve got something that can reliably tell when someone’s breathing when they’re close to the kinect’s camera and I’m currently fine tuning my algorithm so it will work better at a distance. Away from BOM lab at home I finished (mostly – I still want to edit it down) another piece of music based around a field recording, it’s not as ambient as I see the material I want to write for the sound installation but these things often take on a life of their own. It was inspired by the bird song in the field next to my house but it ended up sounding like some clangers jamming with rubber bands and a cat. I’m thinking more ambient less time, need to turn off the drum machine….